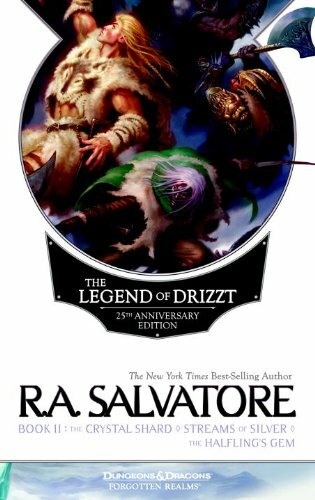 Sunday Quote!- Drizzt Do’Urden on Equality | J.W. Wartick -"Always Have a Reason"
I found this a fairly poignant statement in the midst of what is generally “light” reading for me. In our world, we have all kinds of inequality: there is income inequality, racial inequality, and all kinds of other ills. But a world in which all inequality is eliminated would be horrifying. In such a world, how could we appreciate things like sports, for all people would be forced to perform at the same level? How could we appreciate heroism? Moral fortitude? Any number of “inequalities” are actually good things. I couldn’t code a program to save my life; thank goodness people who are unequal to me at coding are in charge of maintaining this website! The quote, then, has several subtle messages in it. I think it is worth Christians contemplating on. We should be working to reduce the inequalities of opportunity. People should not be unable to pursue their God-given gifts simply because of their circumstances. But we must beware the danger of trying to crush all inequality and make the world into a sea of sameness. What are your thoughts? What inequalities should me most actively be working to combat? Is it true that opportunity should be equal? R.A. Salvatore, Streams of Silver in The Legend of Drizzt, Book II (Wizards of the Coast, 2013). « Really Recommended Posts 7/10/15- Kangaroos, Cosmology, Fidelity, and more!